The Reality of Medical Artificial Intelligence Starts Here. Our users get personalized care in the comfort of their homes, which helps to reduce emergency room visits and hospitalizations, which in turn results in better health outcomes at a lower over-all cost. Providers can deliver better care more efficiently and capture new reimbursements from government and private insurers. The United States will face a shortage of between 61,700 and 94,700 physicians over the next decade, according to a physician workforce report released April 5, 2016 by the Association of American Medical Colleges. The World Health Organization estimates that there is a global shortage of 4.3 million physicians, nurses, and other health professionals. The shortage is often starkest in developing nations due to the limited numbers and capacity of medical schools in these countries. The number of people 65 and older is expected to increase by more than a third in the next 10 years. As people live longer, their healthcare needs increase with their lifespan, placing additional stress on healthcare systems around the world. “The aging population and higher per-person health spending will contribute to increased federal spending over the next decade” according to the US Congressional Budget Office. The World Health Organization predicts that by 2020, chronic diseases will account for almost three-quarters of all deaths worldwide, and that 71% of deaths due to ischemic heart disease (IHD), 75% of deaths due to stroke, and 70% of deaths due to diabetes will occur in developing countries. One or more chronic diseases affect more than 190 million Americans, or about 59 percent of the population!!! In the industry this is called “non-compliance with medication instructions” and it’s the cause of over $600 billion in losses every year, according to a new study by Capgemini. If prescriptions aren’t filled, people don’t get better, they wind up in the emergency room more often, get admitted to hospital more often and die too soon. Even worse – doctors rarely know if a patient has taken their medication or not, so they often don’t know why the patient has gotten sicker and returned to hospital. Artificial intelligence has already ignited imaginations and transformed operations in industries ranging from consumer electronics to self-driving cars. In healthcare, the implications are even more revolutionary. Replacing routine medical diagnoses with A.I. will free up desperately needed resources and allow doctors to use their skills on more serious cases. Meanwhile, monitoring patients remotely, with A.I. driven feedback loops, will solve big problems caused by poor adherence to care plan instructions and prescriptions. Pharma companies will develop better drugs because they will know when their clinical trial subjects have taken their pills, and then whether the medication is working as intended. first examples of this paradigm shift. Drawing on the thousands of data points collected by Cloud DX devices, the Cloud Diagnostics artificial intelligence platform will eventually be able to autonomously diagnose hundreds of diseases or health conditions while users are at home, school or work. The result is a new category of healthcare technology that goes beyond "connected health" -- Autonomous Health. Our Pulsewave® wrist cuff is more comfortable than any arm cuff. Science supports these ideas: numerous studies have shown conclusively that remote monitoring of patients with chronic conditions can improve health outcomes and reduce costs. 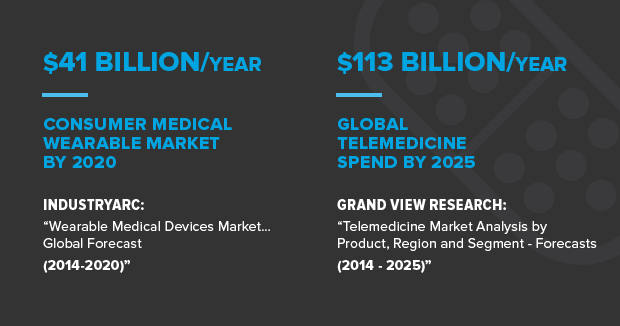 Today, more and more healthcare organizations are exploring remote patient monitoring and other connected health solutions, transforming consumer health wearables and telemedicine into multi-billion dollar industries almost overnight. First let’s be clear – Cloud DX is primarily a SOFTWARE company. Our critical differentiators are all based on the ability of our software to generate unique medical results and to offer genuine medical insights that make care more efficient. Our Connected Health software is powered by our Cloud Diagnostics® platform – just as the name implies, our cloud-based applications take data from a variety of clinical grade medical devices as well as input from users, and analyze raw signals to produce actionable intelligence. Why does a software company make and sell medical devices? Synchronicity: Our competition offers old-fashioned, single-purpose medical devices that do only one thing each: blood pressure cuffs take blood pressure; ECG devices record heart signals. Cloud DX offers simple, easy to use MULTI-PURPOSE devices that gather more than one biological signal from the body and our software analyzes the relationships between signals. Pulsewave gathers a 4,000 data point signal from the radial artery. Our cloud-based A. I. algorithms derive five measurements from that signal: blood pressure, mean arterial pressure, heart rate, average breathing rate, and cardiac anomaly scores. Pulsewave is the only consumer blood pressure device validated against an intra-arterial catheter for accuracy & precision*; but Pulsewave, as a wrist cuff, is also more comfortable and easier to use than a standard arm cuff. Vitaliti gathers multiple raw ECG, PPG, temperature and accelerometer signals from the body with high reliability. It continuously monitors all the main vital signs - continuous non-invasive blood pressure, heart rate, respiration rate, ECG, blood oxygen saturation and core body temperature - in real time, but it’s so comfortable to wear that you can sleep with it on. 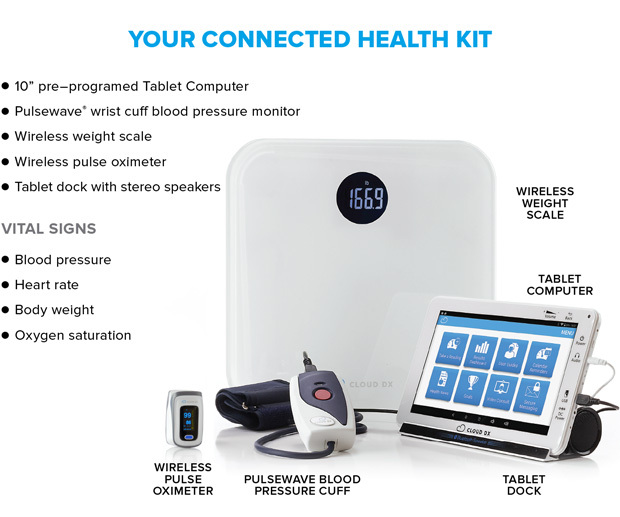 Our Connected Health Kits also include a wireless clinical-grade body-weight scale, oximeter, thermometer and glucose meter made by our manufacturing partners and chosen to meet our specifications. *“Comparison, calibration and validation of the non-invasive Pulsewave® Health Monitor with direct invasive radial and central arterial measurements during cardiac catheterization” October 2015, K. Brunt et al, University of New Brunswick. As a software developer we can iterate quickly, innovating new solutions that put our unique data and analytics to best use. Our Connected Health Kits are designed for ease of use, even by older patients who may be unfamiliar with smartphones, tablets and gadgets. How well do Cloud DX solutions work? Very well, thank you! 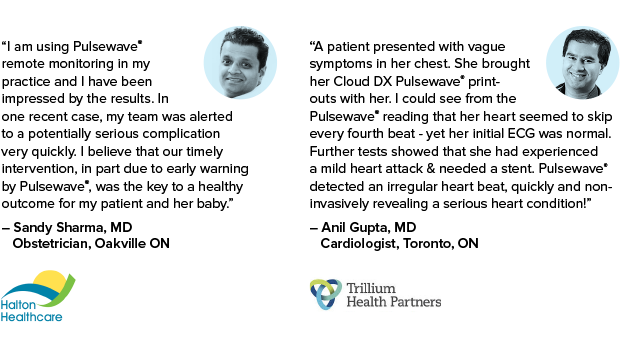 Since beginning commercial service in 2012 Pulsewave has taken nearly 400,000 readings from over 30,000 individual patients. Many of the original devices delivered in 2012 are still in service today. Sales of our Cloud DX Connected Health Kits are growing at double-digit rates. In the last 6 months Cloud DX has negotiated eight major sales channel partnerships. 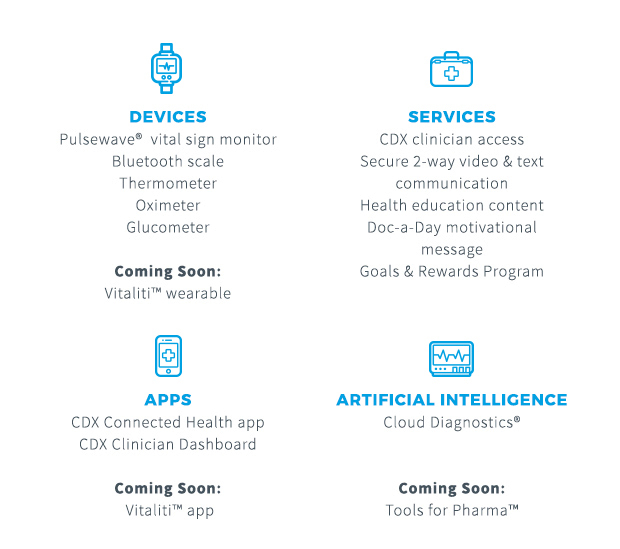 Connected Health Kits from Cloud DX are replacing devices from legacy vendors in the US, Canada and Europe because they are easier to use, deliver better data and are much less expensive. 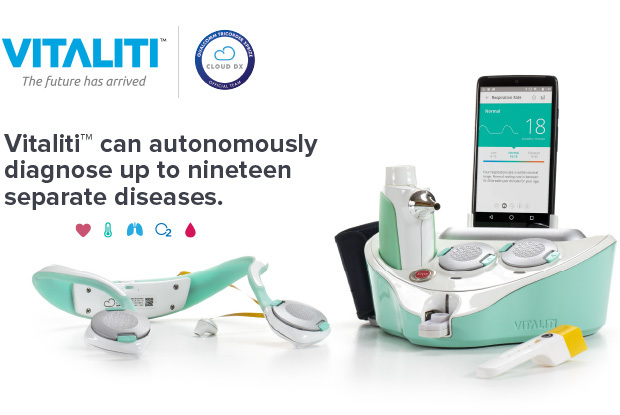 Vitaliti™ was the Cloud DX entry in the Qualcomm Tricorder XPRIZE Competition. 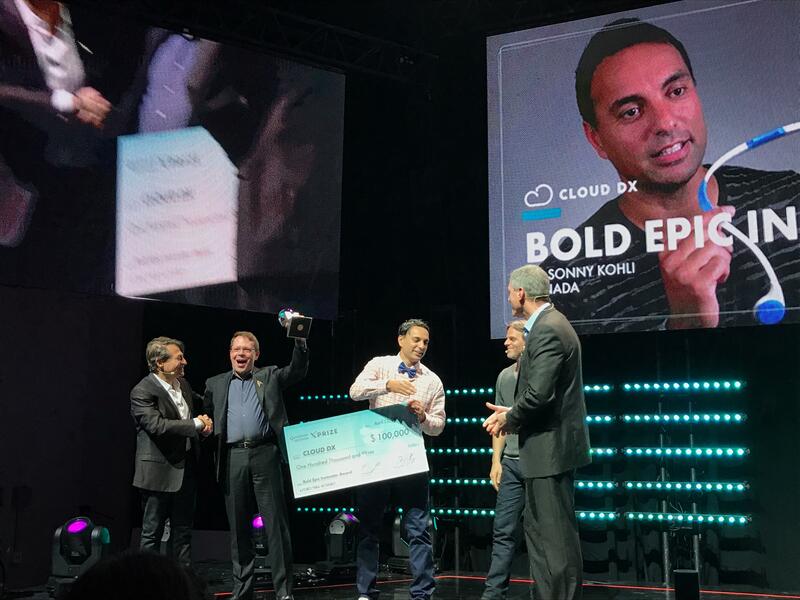 On April 12th, 2017, Cloud DX was honored to receive the first-ever XPRIZE Bold Epic Innovator Award! See here for more info about the announcement of the award. 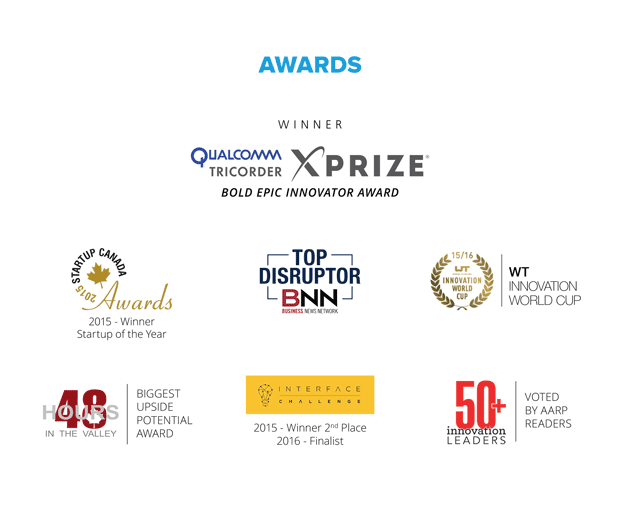 The Qualcomm Tricorder XPRIZE was a grueling five-year competition that included seven different points at which the competing Tricorders were judged or validated. Over 300 teams originally applied to compete. Cloud DX became a top-10 finalist in August 2014. All the finalist Tricorders were required to continuously measure five main vital signs for 24 straight hours at gold-standard accuracy, and then correctly diagnose twelve different medical conditions better than 70% of the time – while scoring high marks for ease of use! The XPRIZE testing conditions were designed to exceed those of the FDA. Vitaliti passed them with flying colors. Cloud DX “Tools for Pharma™” platform consists of a patent-pending cloud-based, autonomous A.I. driven system that can detect when a patient has ingested medication and then analyze the efficacy of that medication. It’s our proposed solution to the global $600 billion annual crisis in non-adherence to medication and the lack of tools to measure medication effectiveness. 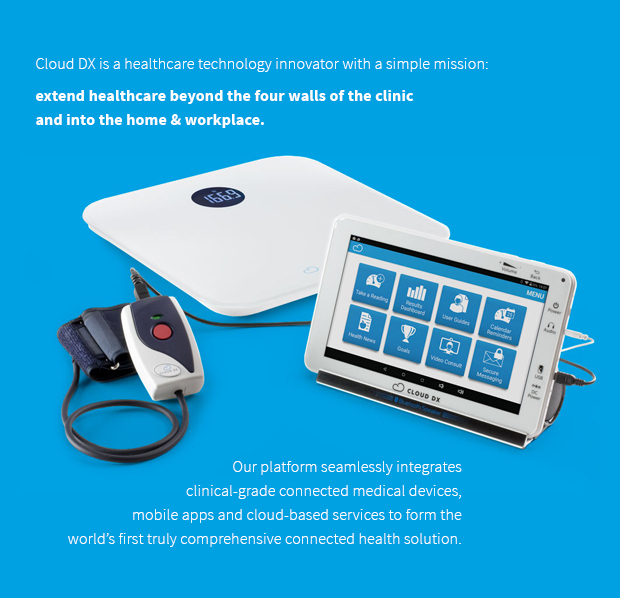 The Cloud DX family of devices, apps, services and artificial intelligence platforms come together to form the most complete connected health solution on the market today. Cloud DX is committed to ensuring that all of our devices meet the highest national and international standards for healthcare devices. 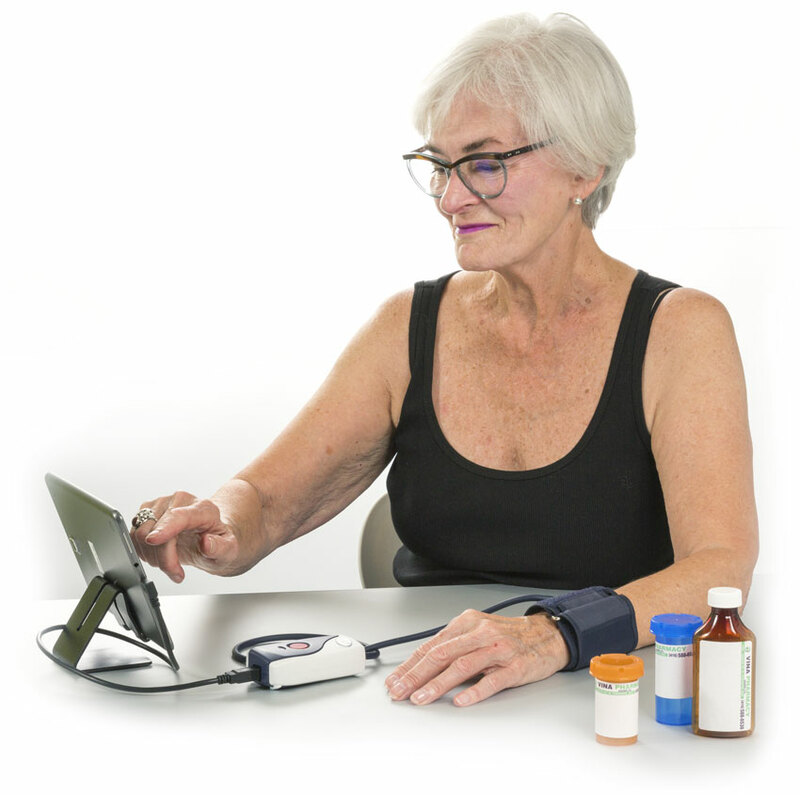 All our Connected Health Kit devices and software have been FDA-cleared, registered and Health Canada licensed, and meet all clinical requirements for vital sign measurement, hypertension diagnosis & treatment, and ease of use. Clinicians aren’t just using Cloud DX products -- they’re investing in them as well. 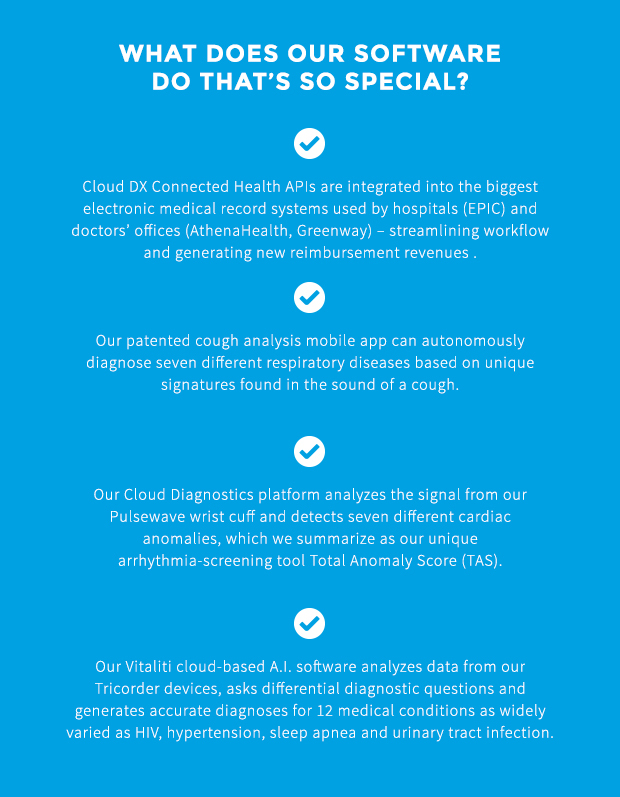 Over 35 individual physicians have invested in Cloud DX to date, along with the CEO of one of the largest homecare agencies in Canada and several C-level hospital executives -- a powerful vote of confidence in our technology and its potential to transform healthcare. "Simultaneous Multi-Parameter Physiological Monitoring Device With Dual Local And Remote Analytical Capability"
"Systems and Methods for Monitoring Patient Medication Adherence"
"Comprehensive Body Vital Sign Monitoring System With Neck And Ear Mounted Device"
Click a picture to view the video. In 2009 Robert founded a previous company, also called Cloud Diagnostics, and sold it less than 9 months later to a Canadian public company. 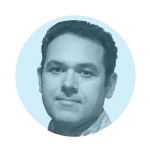 He then led the acquirer for 4 years, ultimately as CEO, before re-purchasing the assets to launch Cloud DX. 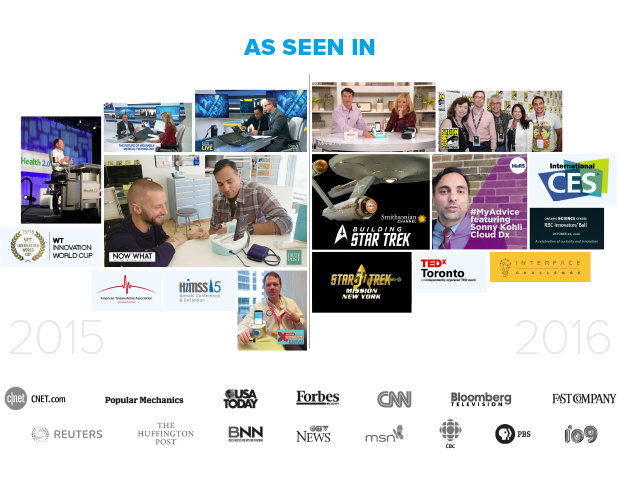 An experienced entrepreneur, Anthony founded Higher Bracket, Canada’s only online job board for executive positions, and grew it to over 70,000 members. 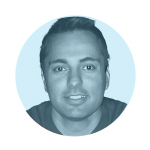 As COO, Anthony is responsible for supply, logistics, HR, support and day-to- day operations at Cloud DX. Also an entrepreneur, as well as a practicing physician and internal medicine specialist, Dr Kohli is a former Canadian astronaut candidate, a charismatic public speaker and a tireless advocate for better healthcare around the world. David’s practice is at the Trillium Health Partners in Mississauga ON and the Canadian Center for Musculoskeletal Ultrasound (CCMSU). 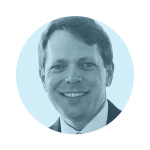 Outside of medicine one of David’s interests is strategic investment planning and taxation and he has brokered complex private investment projects. 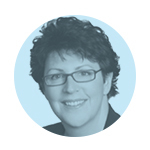 Michele is a CPA, CA, CFA and CBV with over 20 years of M&A and corporate finance experience. She’s a former partner at MNP LLP in Toronto, prior to which she spent 15 years with PricewaterhouseCoopers LLP in Canada & the UK. 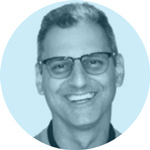 A leading subject matter expert in telemedicine and remote patient monitoring, Larry was responsible for closing 4 of the largest US telehealth deployments to date. 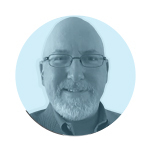 Larry is recognized by his colleagues in the ATA and HIMSS as one of the most connected healthcare leaders. 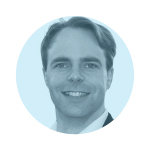 An experienced technology developer, Justin is the former manager of the Connectivity and USB teams at Blackberry where he developed software that runs on hundreds of millions of devices. Prior to Blackberry, Justin was CTO at a health IT startup. 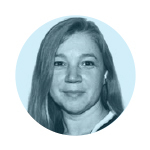 Experienced in developing deep learning and “big data” platforms, Sara is in charge of Cloud DX artificial intelligence projects and the design of our new Vitaliti devices. She began her career in the healthcare space, and then led a large team at her previous job.